The last time another country in the region carried out executions was in 2005. This makes Belarus the last and only executioner in Europe, while Kazakhstan, the Russian Federation and Tajikistan continued to observe moratoriums on executions. Amnesty International stresses that executions in Belarus are classified as a state secret and fair trial standards are violated in capital cases. It is also alarmed by Belarus’ continued failure to respect the requests from the UN Human Rights Committee not to carry out executions, including Aliaksei Mikhalenya, Ihar Hershankou and Siamion Berazhnoy executed in 2018. “The UN Human Rights Committee also expressed concern that individuals facing the death penalty are being denied a fair trial, they and their families are not notified about the date of execution, the bodies of individuals who are executed are not returned to their relatives and the burial sites are not disclosed. Furthermore, the Committee against Torture expressed deep concern at findings by the UN Human Rights Committee that confessions of guilt had been obtained under duress or torture and at reports that persons on death row were detained in solitary confinement,” the report said. 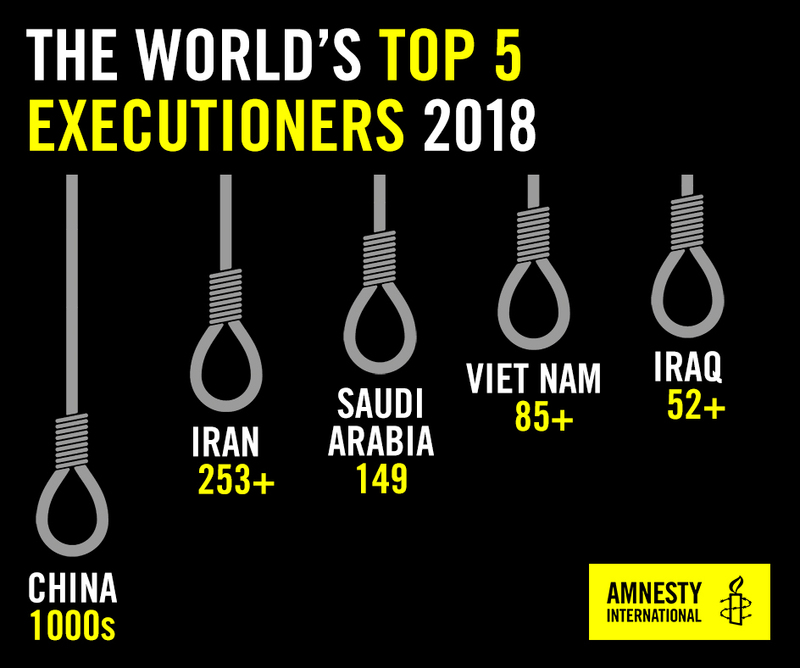 Global executions fell by almost one-third last year to the lowest figure in at least a decade, Amnesty International said. However, it wasn’t all good news. Amnesty International found increases in executions in Belarus, Japan, Singapore, South Sudan and the USA.